Designed by renowned architect Mink Tan, the dazzling Kinara restaurant is built of carefully selected teakwood and sandstone. The 400 years old ancient gates from the state of the Maharajas – Rajasthan that grace the entrance inviting you to cross their threshold and enter the mystical world that is Fez Kinara. We invite you to experience our newly refined centralized-dining concept. Enjoy a new way of dining with our selective assortment of authentic Indian, Maghreb, Middle East and Gulf regions culinary dishes and entertainment all under one roof. Serving you tantalizing flavours from cous-cous, lamb biryani and lamb shanks to a variety of kebabs and curry dishes – our Kinara and Spice Caravan Menu’s are rich in flavour using a blend of spices and aromas that tease the taste buds. Finish off your dining experience with delectable Mithai or desserts and cocktails, then end your night with Royal Shisha smoking as you unwind in our relaxing Lounge. “Fez” is a culinary journey through Morocco, Tunisia, Egypt, Turkey, Lebanon, Iran, Iraq, Qatar, Saudi Arabia, United Arab Emirates, Bahrain, Kuwait, Algeria & Jordan. Our Master Chef will tantalize your taste buds with specially prepared dishes concocted at one of our three dedicated international kitchens, enjoy the dining experience you’ll never forget. 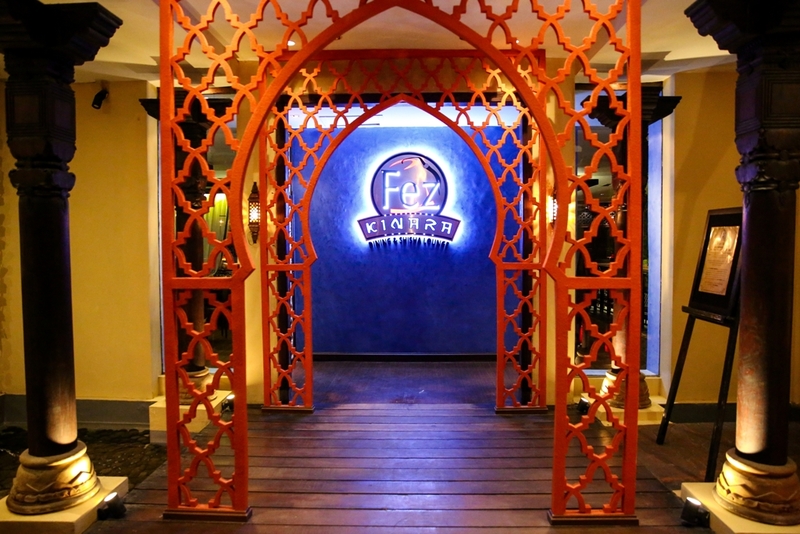 At Fez Kinara, diners are encouraged to share the dishes of Moroccan origins, seem perfect for every occasion, but perhaps are best enjoyed with a group of family and friends – like the restaurant’s signature Moroccan Tajin (tagine), a slowly braised stew cooked in a clay pot served with bread. Guests can choose variety of meats according to their taste such as chicken, lamb, meatballs or fish. The Chef’s recommendation, Lamb Prune Tajin, is tender lamb meat cooked with honey, topped with roasted almonds and sesame seeds. Those who like the refreshing taste of couscous (crushed wheat) better not miss the Royal Moroccan Couscous that is served with a stew of lamb, chicken, sausages and seasonal mixed vegetables. Among the new menu additions is the Kofta, which is cooked in Arabic style with a wide range of different spices, and provides a true burst of flavours. 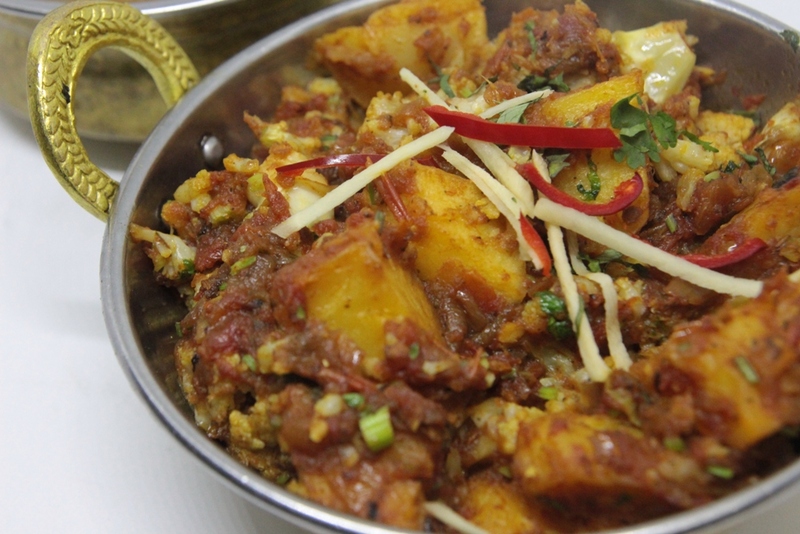 Diners have option between lamb or chicken, whereas the dish will be accompanied by Arabic bread, mandi rice or biryani. The traditional Egypt dessert Umm Al is a perfect way to end a satisfying meal. Eat it while it is still warm in order to fully enjoy the delicious and soft puff pastry covered in fresh milk and mixed nuts. A suitable pairing for this delicious treat is the Moroccan Mint Tea. The waiter will serve it Moroccan style, by pouring the tea into a glass containing fresh mint leaves. If you prefer coffee over tea, we recommend to order a Turkish coffee. Fez Kinara also provides beautifully decorated lounge for guests who want try some cocktails or are simply looking for the best place to have tête-à-tête and smoking a shisha – a tradition dating back to the 16th century. 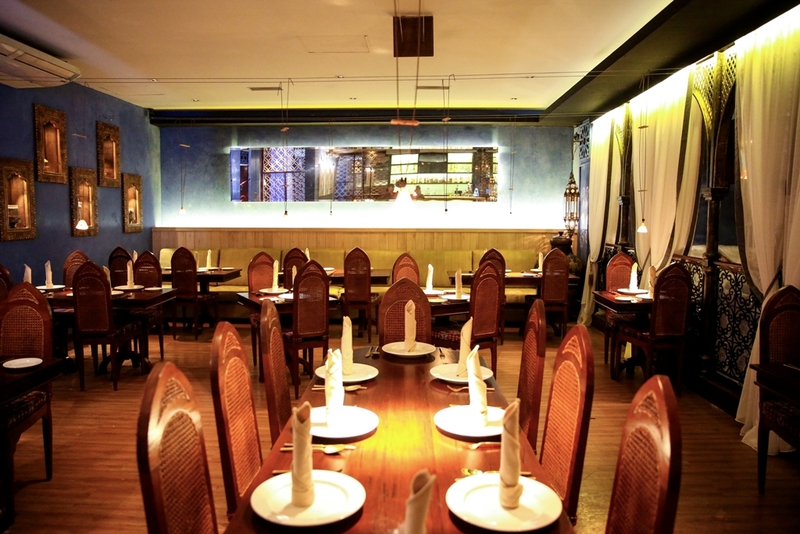 The old magnificent Kinara space is available to host private events and parties, while the restaurant also offers catering services.